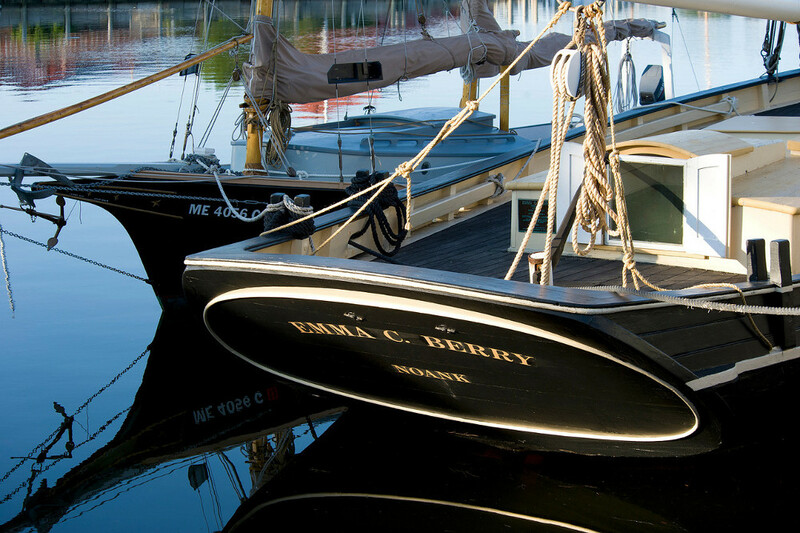 The Watercraft Collection at the Mystic Seaport is the largest of its kind in the United States. It includes sailing craft ranging in size from rowboats to schooners and ships. The collection also houses a large number of rowing craft, including both round and flat bottom, and a growing number of canoes and powered craft, such as the Herreshoff-designed Resolute launch. In addition, the Museum is home to four National Historic Landmark vessels, including the Charles W. Morgan, the last wooden whaleship in existence. The collection provides an overview of the development of seafaring vessels that span time and culture. Charles W. Morgan; Leavitt, John F.
Mystic Seaport Watercraft; Bray, Maynard, Benjamin A.G. Fuller and Peter Vermilya.